Bancrea Homes, together with its partner developer and mass-housing advocate 8990 Holdings Inc., launched its website last October 16 which will be available 24/7 online. The official website, www.BancreaHomes.com, unleashes a full range of innovative features that a traditional property brokerage firm does not usually offer. These features include the ASK REA:24/7 Live Chat, a dedicated live chat hosted by real-person customer service staff, an "E-Refer Kita" app, where every ordinary Filipino can refer a sales lead, check the status of their referral, and earn a commission on the lead, and a lead generation and exchange service whose dedicated Customer Relationship Management (CRM) platform, powered by Aggrego.io, can organize and track sales leads and virtually manage a network of real estate brokers and agents. To make the necessary site trippings less stressful among prospective home buyers, Bancrea Homes also introduces its "Book-A-Tour"-via a ride-sharing app-where you can schedule your visit at your own time and also ride for free. Bancrea Homes also provides financial literacy sessions among first-time homebuyers; documentation and taxes consultations; rent-to-own deals for employees; pre-approved home loans; property leasing services, and rewards from industry partners. Bancrea Homes offers a free franchise for local and international brokers who would like to sell the housing units of Urban Deca Homes, the flagship brand of 8990 Holdings Inc.
"For first-time homebuyers, buying a house is a bit stressful; they need help from an experienced broker or agent throughout the process. In Bancrea Homes, we assist our clients from reservation to documentation, from the payments to moving in," says Roy Buen, Bancrea Homes' founder and CEO. He adds, "We also have a 24/7 online live chat where real-person customer service officers are just one message away anytime, anywhere. Sadly, a lot of property brokers and agents lacks the after-sales service; once the client has reserved a property, the brokers and agents are suddenly unavailable. Part of our advocacy is to put a stop to this frequent home buyers' dilemma." Bancrea Homes' current roster of brokers and agents was originally trained by 8990 Holdings Inc., which makes Tani Basman, 8990 Holdings' assistant general manager for Metro Manila sales and customer service, all the more confident. 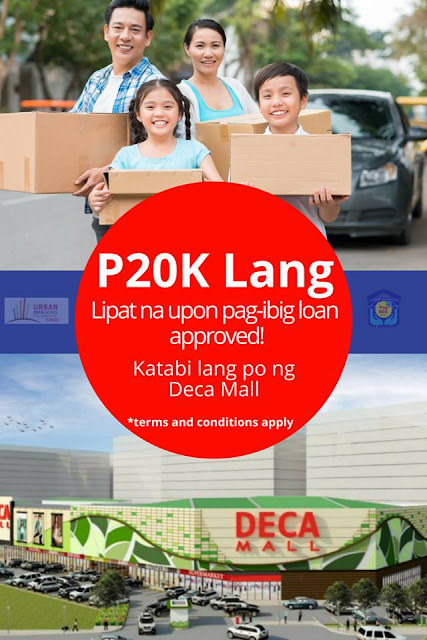 "We've made a partnership with Bancrea Homes to deliver the sales for our National Capital Region (NCR) projects [Urban Deca EDSA Tower, Urban Deca Homes Campville-Muntinlupa City, and Urban Deca Homes Tondo, among others]. We believe in the goal of Bancrea Homes: to deliver good customer service, which translates to more sales," says Basman. "Both Bancrea Homes and 8990 Holdings are serving the same mass-housing market. We also closely work with government financial institutions such as Pag-IBIG Fund and the National Home Mortgage Financing Corporation," Buen explains. "As of today, the mass-housing backlog is more than five million homes. With the help of Bancrea Homes and our growing industry partners, it's not too late to fulfill the dream of every Filipino to own a house."